Geography affects the weather in a number of ways. Mountain ranges affect the weather by directing air currents. Tall mountain peaks force air upward, causing it to cool. This causes clouds to release water in the form of precipitation. 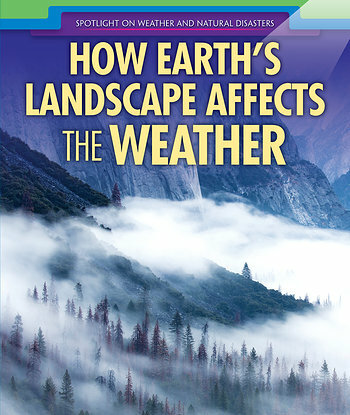 This descriptive and educational book explains how geographical forms influence the weather. Readers will learn about the ripple effect of changing geography by studying real-world examples.